Lot Detail - COCA-COLA ROOT GLASS CO. MODIFIED PROTOTYPE BOTTLE. 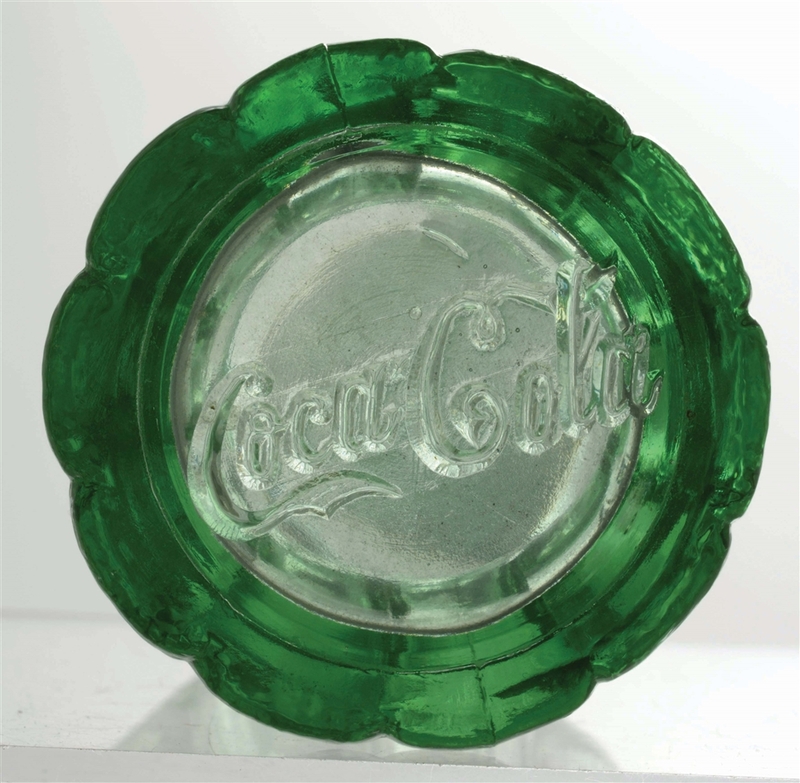 COCA-COLA ROOT GLASS CO. MODIFIED PROTOTYPE BOTTLE. 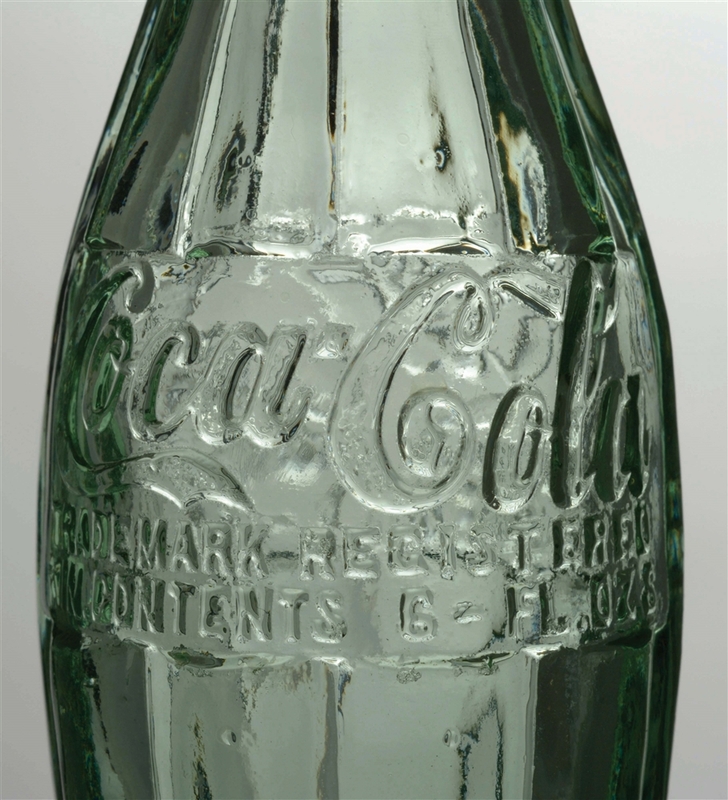 This is the only known bottle of its type that has surfaced completely intact. 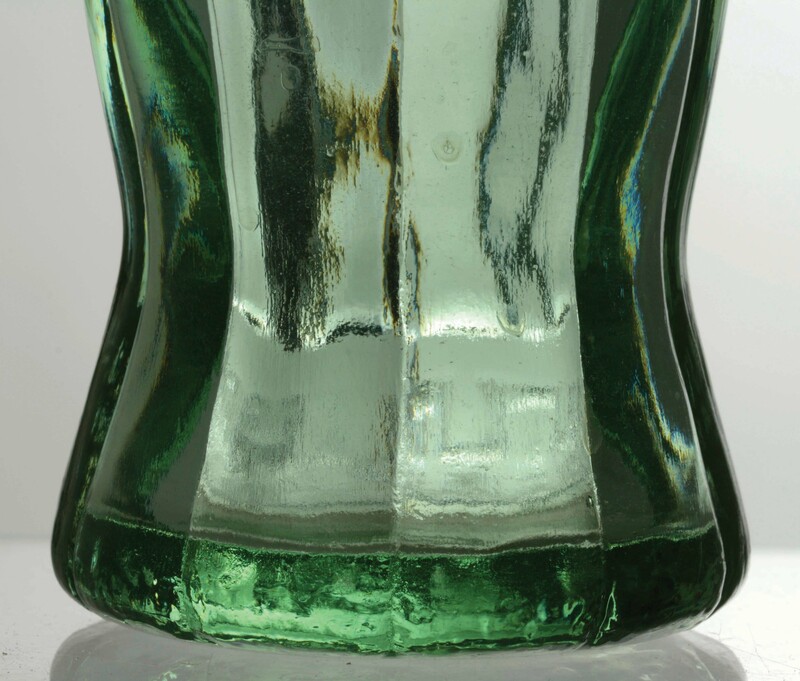 Advanced bottle collectors we have consulted consider it to be extremely rare and important. 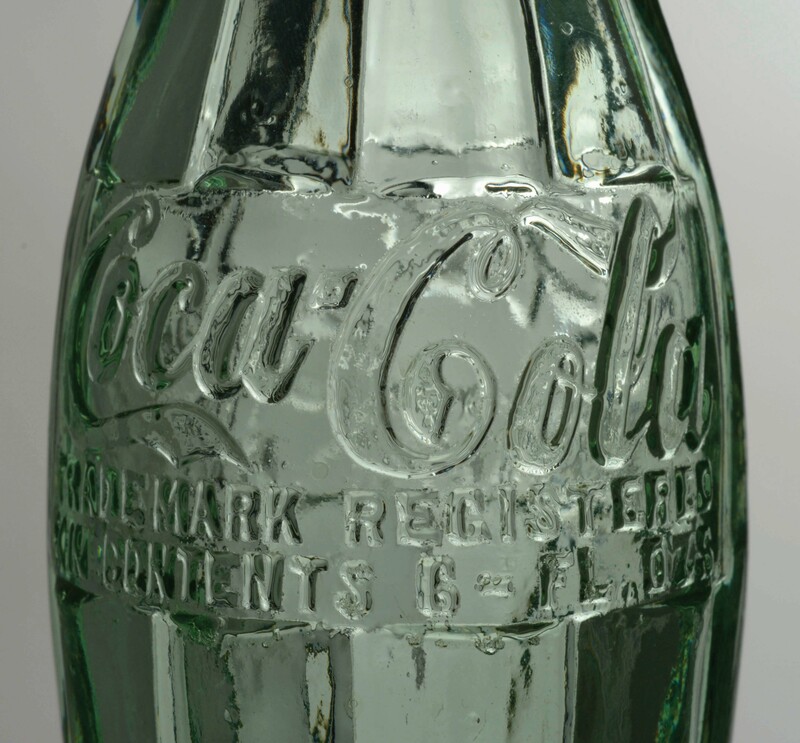 In early 1915, the Coca-Cola Bottling Company parent bottler in Atlanta, on the recommendation of the company lawyers, sent a request for proposal to several large glass houses requesting designs be submitted for what was to be the standard Coca-Cola bottle. Submitted proposals were required to be accompanied by a sample bottle. A committee of several bottlers and company lawyers met in Atlanta in August 1915 to consider the eight bottles submitted. The bottle selected was from the Root Glass Company. Earl R. Dean was the designer and inventor. The Coca-Cola Company accepted this newly designed bottle at once, but they could see that alterations would have to be made on the lower and middle diameters of the bottle in order to make it more practical and so it would fit in the modern bottling machinery that the bottlers were using. As a result, it was modified to the familiar design known to collectors and consumers today. 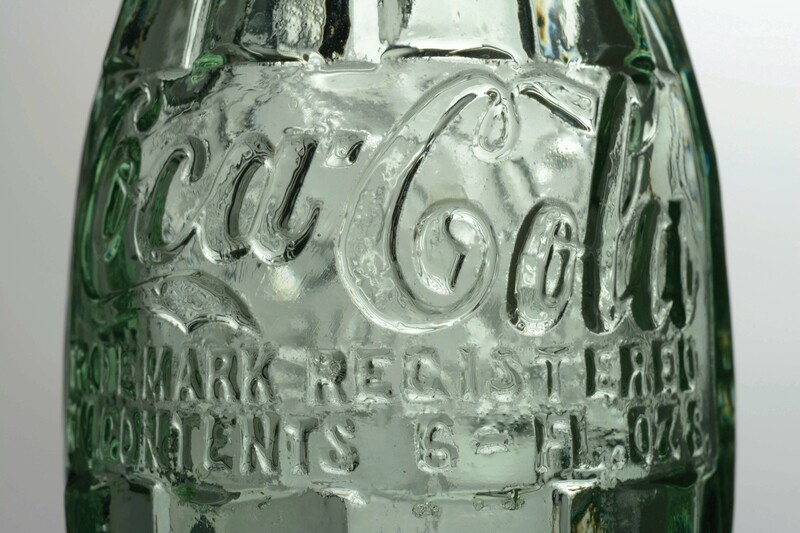 Mr. Root advised the Coca-Cola Co. why it was necessary to make these alterations, and that a sample bottle would be submitted for their approval. 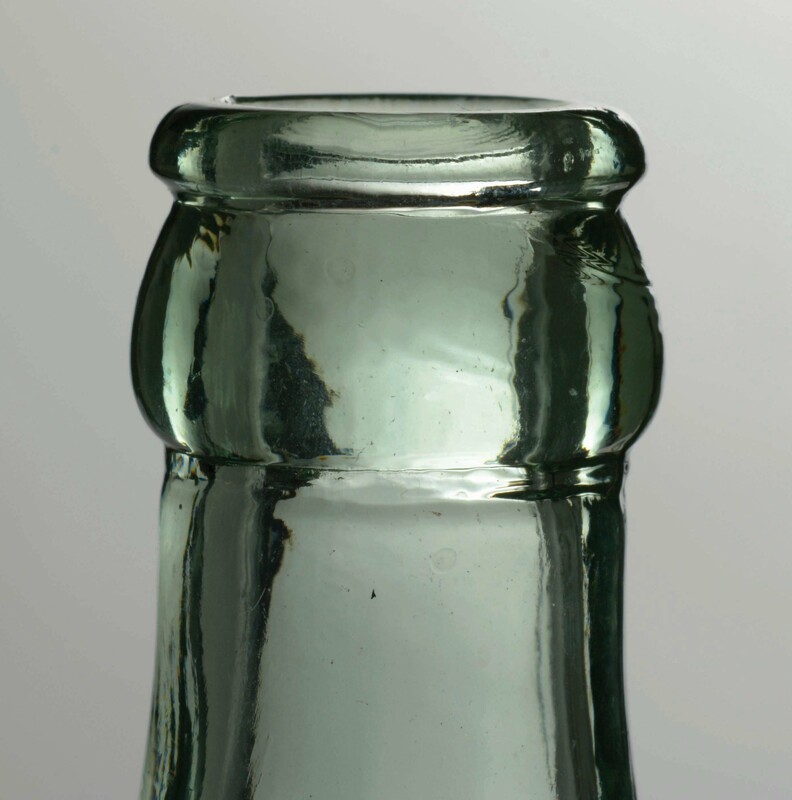 Before formally accepting the new design, the committee arranged for the bottle to be tested in the Birmingham and Anniston, Alabama; Augusta, Georgia; and Nashville, Tennessee bottling plants. Bottles were blown in the shape of the final design, which was patented in Alex Samuelson’s name on November 16, 1915. The testing was confidential, with only the bottling plant owners and supervisors present for the trial runs. 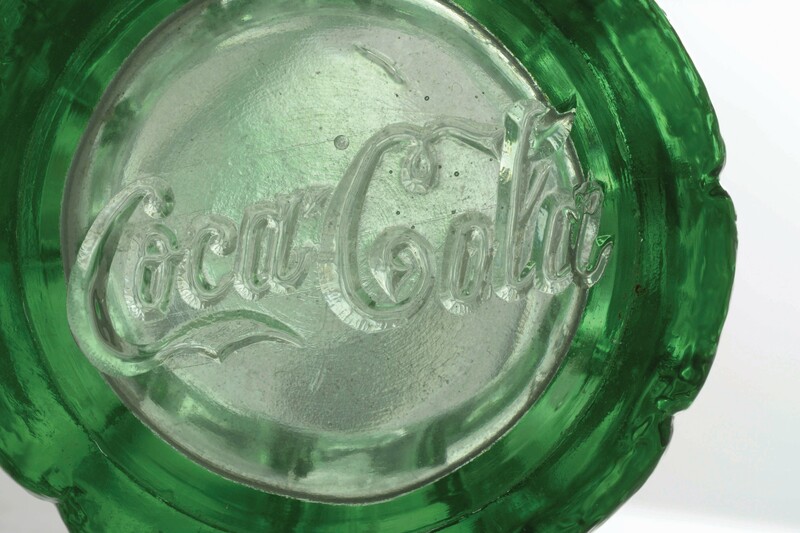 The testing was successful and the bottle design was further modified by moving the city from the lower side heel of the bottle to the bottom, and by moving the patent date to the middle below the Coca-Cola trademark. In April of 1917, the final design was introduced nationally. 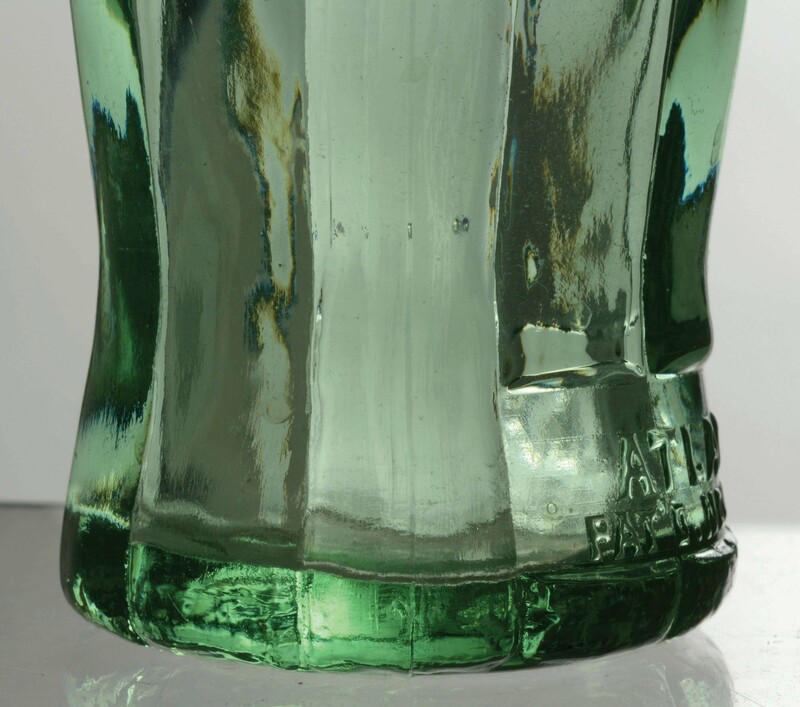 It should be noted that the straight area in the neck of the bottle is that of these early bottles and that the 1916 bottle retained the smooth, unbroken silhouette of the contour, since the ribs are unbroken at the middle panels. You can see that smooth contour illustrated in most late teens calendars and other advertising of that period. Much of this information comes from Dennis Smith, a recognized bottle expert. Also, some of the content in this description is taken from the book The Man Behind The Bottle by Norman Dean, the son of Earl Dean (ordered @ www.xlibris.com). We also reached out to another bottle expert, Bill Porter, who feels this bottle being offered is truly a “missing link”, heretofore unseen and unique. 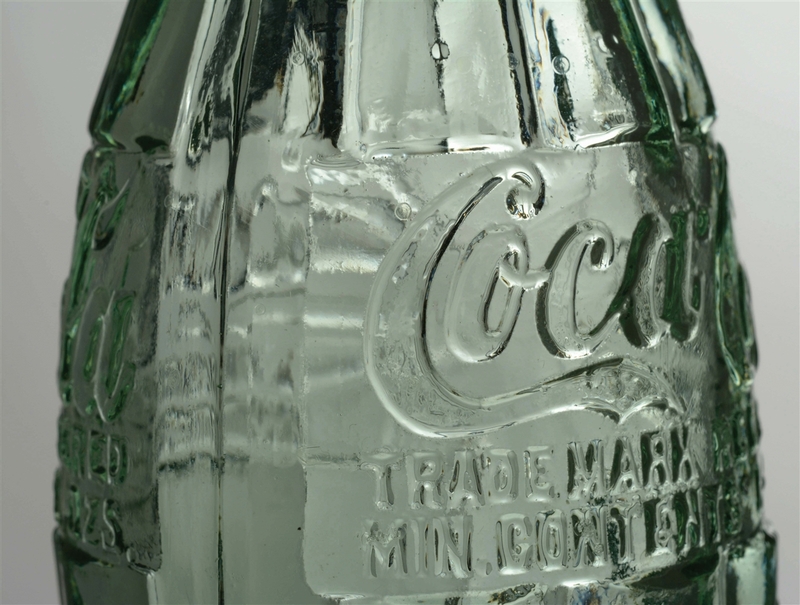 Since the bottle is stamped Atlanta, and is nearly pristine, it follows that it was a modified sample or prototype that never saw test production. The bottom view matches the original Root design, with the Coca-Cola logo boldly embossed on the bottom of the bottle. About 42 years ago, in Birmingham Alabama, Dennis Smith conducted a bottle dig in the same dump where that local bottler broke and discarded their straight sided bottles, a few blocks from where the plant was located. He discovered several damaged 1916 test bottles embossed Birmingham, but nothing remotely close to a complete bottle. Due to company loyalty being what it was in those days, coupled with what was likely higher ethics and morals, it certainly follows that all test bottles were destroyed, as ordered, after the confidential testing was completed. 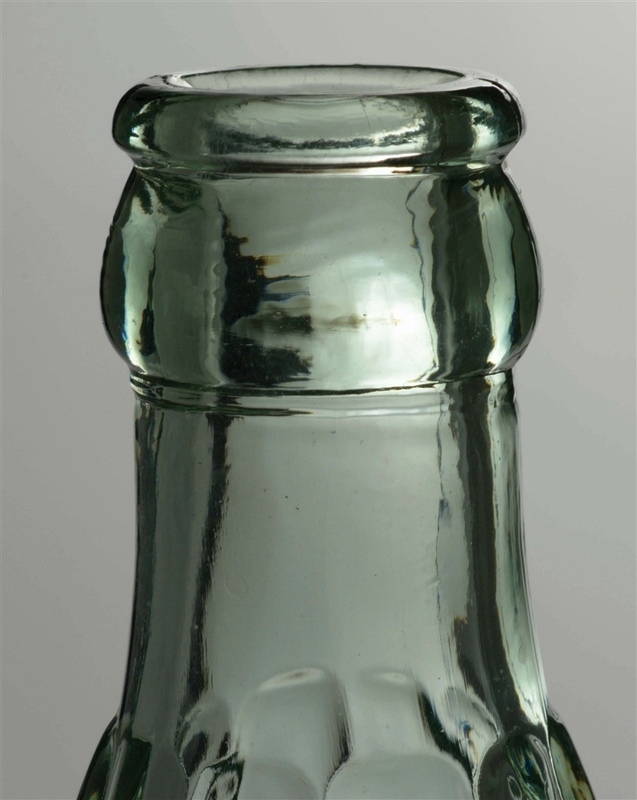 It is therefore believed that this Atlanta bottle is the only known example or model of the 1915 test bottle. 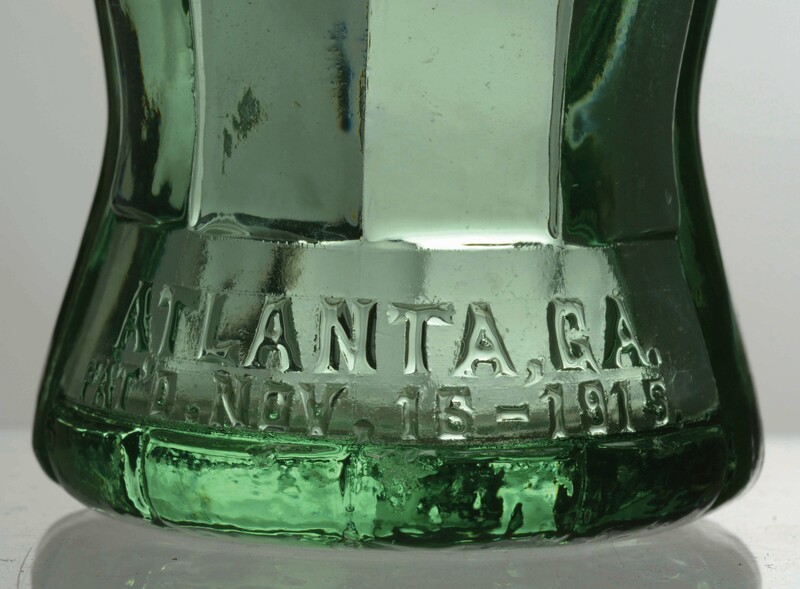 The best explanation for Atlanta being on the heel of the bottle is that is what the first prototype also featured on the heel. 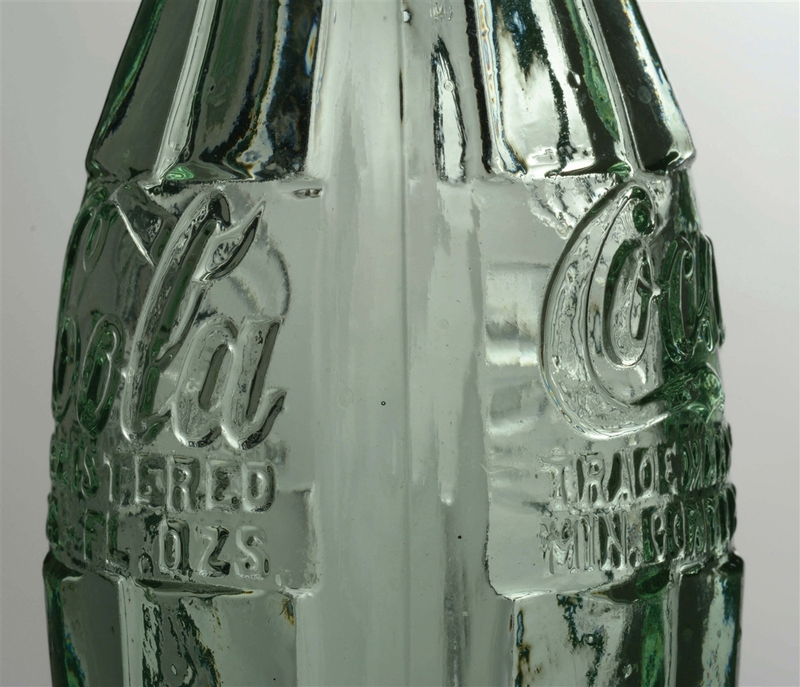 There are 2 known examples of that prototype bottle with the second to surface selling at auction in 2011 for $240,000 and the original pencil sketch by Earl Dean of that bottle design selling for $228,000 in the same Julien’s auction. 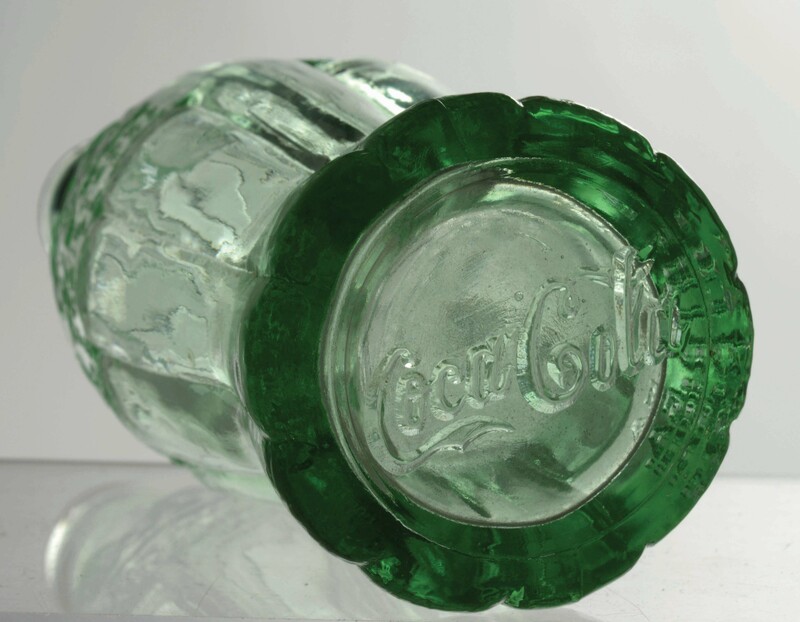 This bottle, and the bottle in the next lot offering, were both recently discovered a few days after obtaining and sorting through a Coca-Cola collection acquired from a retired Coca-Cola employee who worked for Chapman Root. 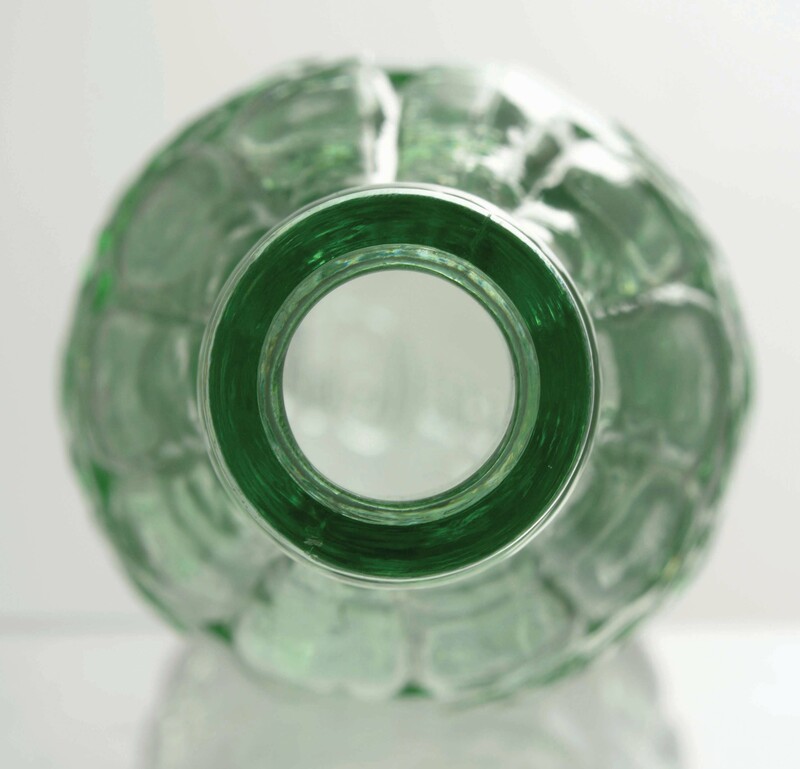 The bottle is as close to pristine as one could envision, with no chips, cracks, nor case wear. Believed to be only example extant. Item Dimensions: 7 - 3/4" x 2 - 1/4".